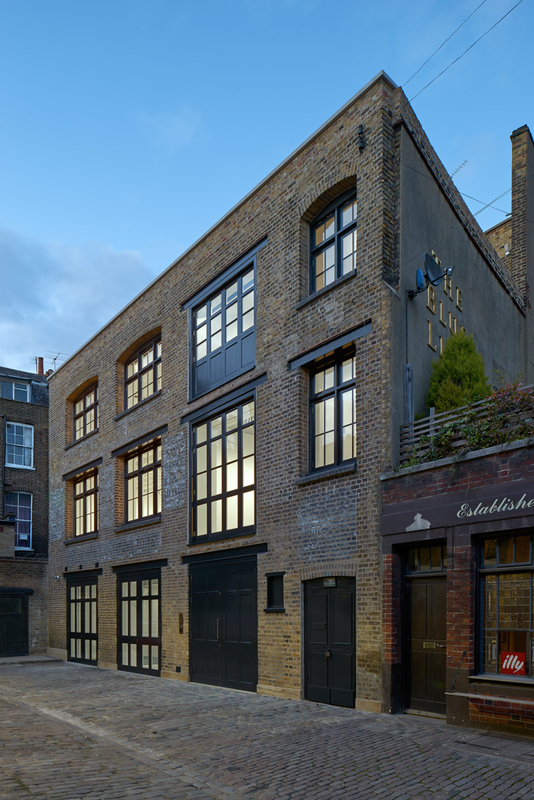 Westgreen are pleased to announce the completion of The Perimeter, Brownlow Mews. 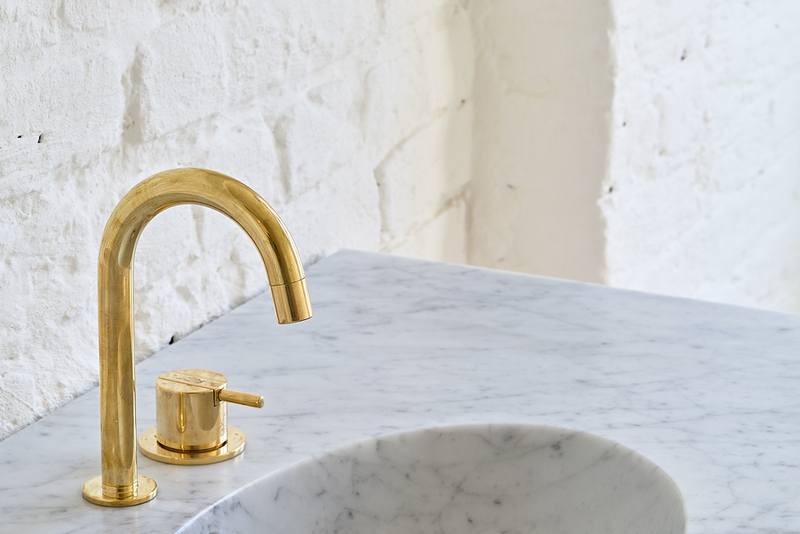 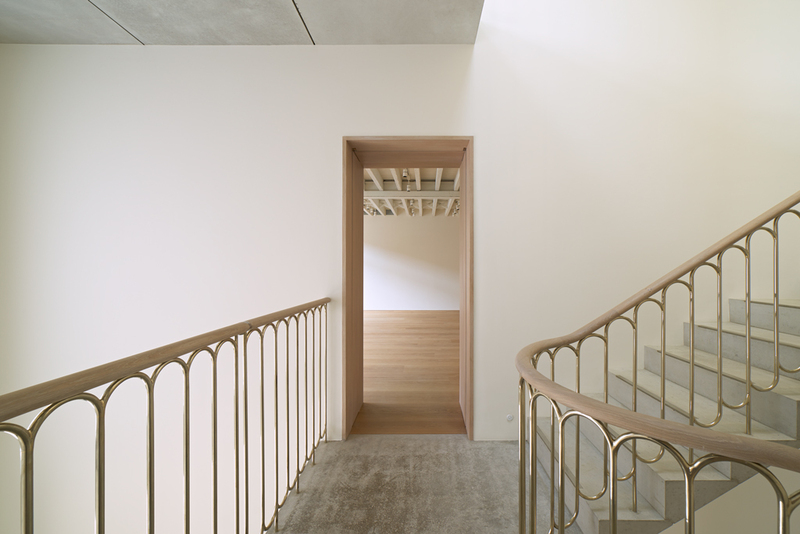 Designed by RIBA Stirling Prize-nominated architects 6a, and featured in the December 2017 edition of El Croquis, the project is involved Westgreen undertaking the conversion of an existing Victorian warehouse into a suite of galleries and an archive space for a private contemporary art foundation. 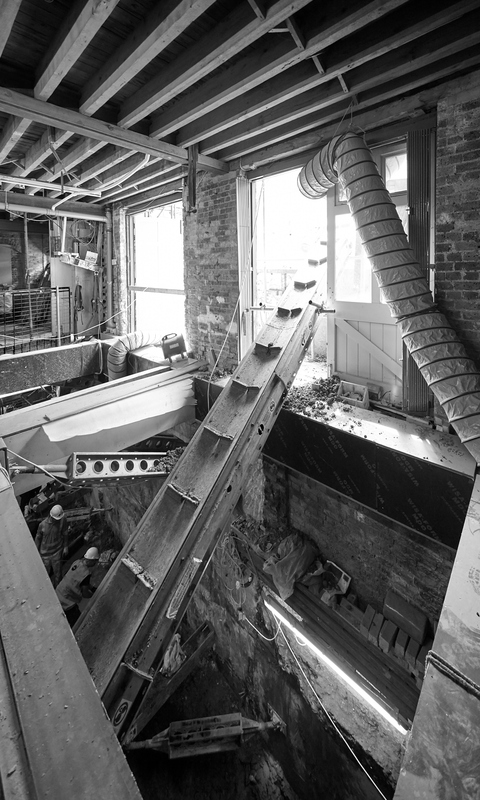 The design sought to conserve the character of the three-storey building, whilst upgrading the interiors for the needs of a modern art gallery and archive space, including the introduction of a lift to facilitate full accessibility. 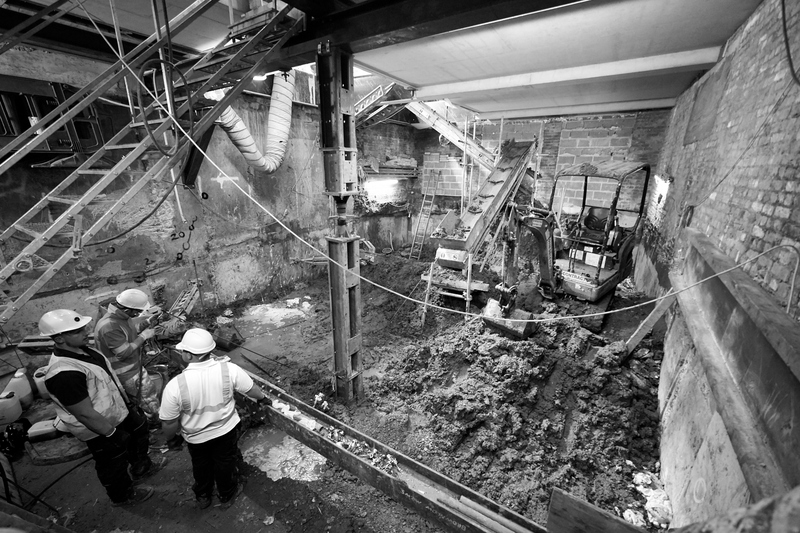 The mews dig-out was undertaken in tight constraints, the first phase descending 1.9m. 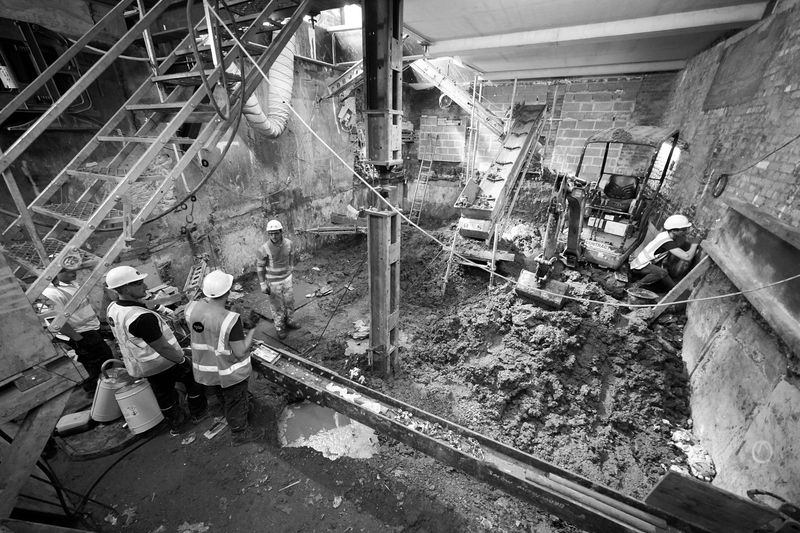 The slab was cast and temporary works installed, with underpinning to double basement level while simultaneously working up the structure. 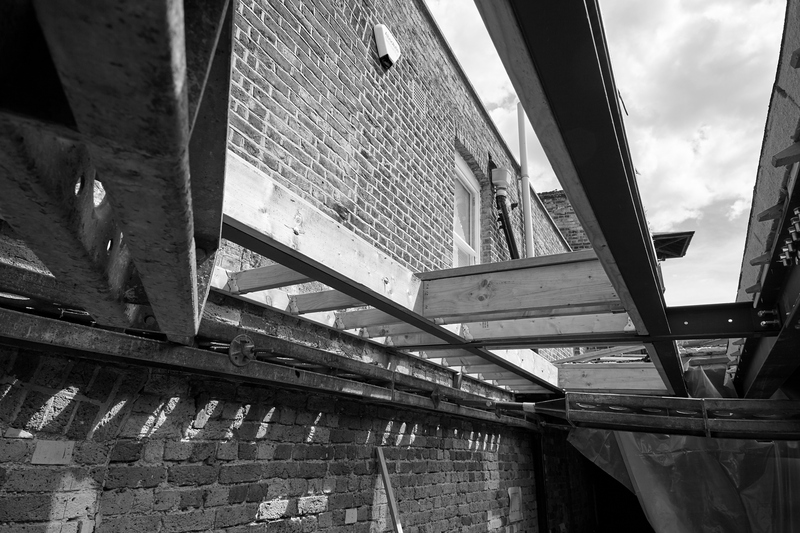 Adding six courses to the parapet raised the ceiling height internally, ensuring the top floor was better suited to receive art. 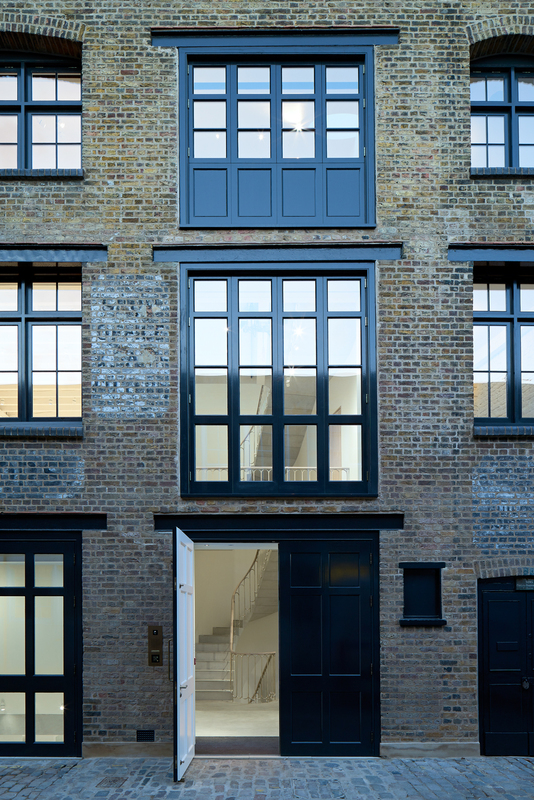 The timber frames of the fenestration were restored and refurbished with thermally performing slim double-glazing. 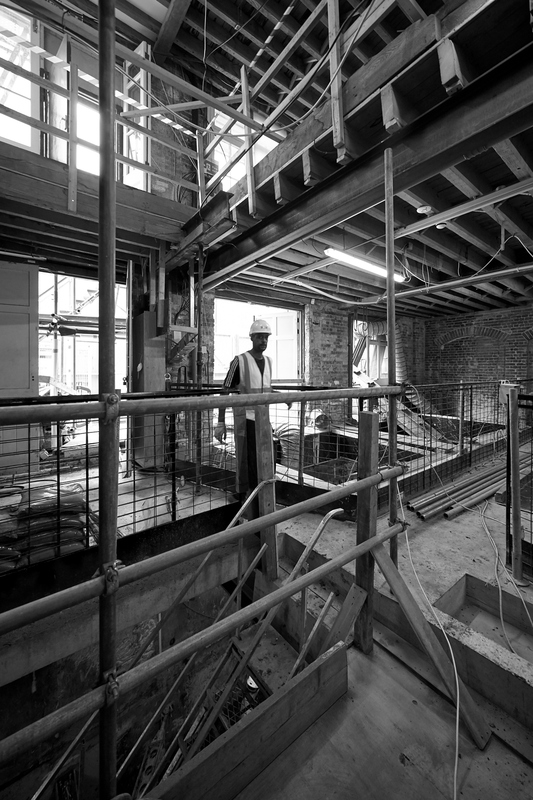 The gallery is refurbished to a high level internally. 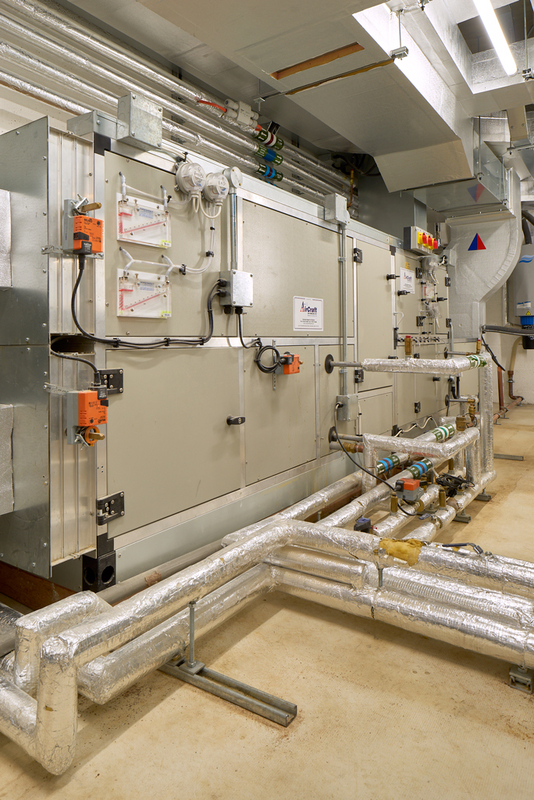 It provides the client with three galleries, an office with library, a sizeable and versatile archive, staff facilities, storage and plant rooms, bathrooms and kitchen. 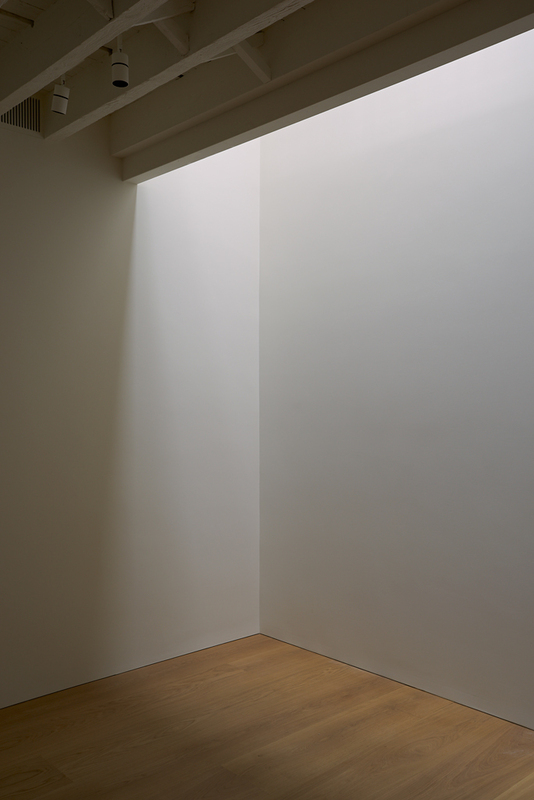 A double height entrance hall allows light into the depth of the building. 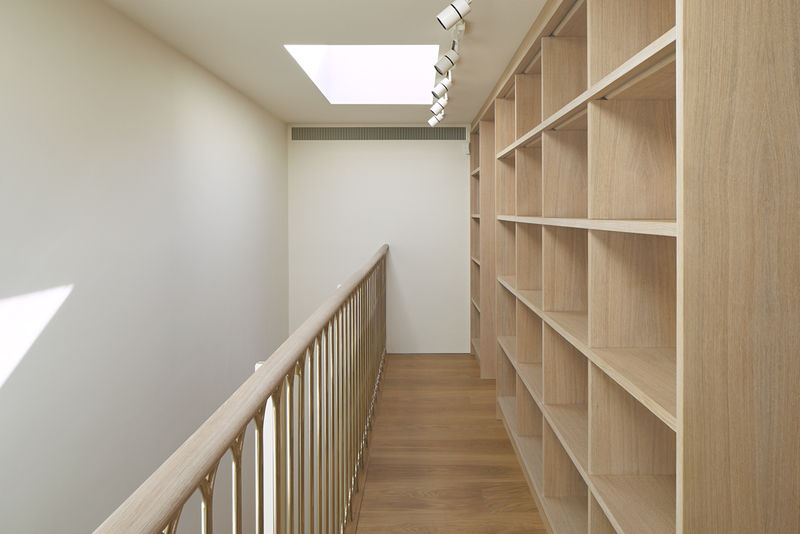 To one side, a further double-height void descends to the basement archive and viewing room. 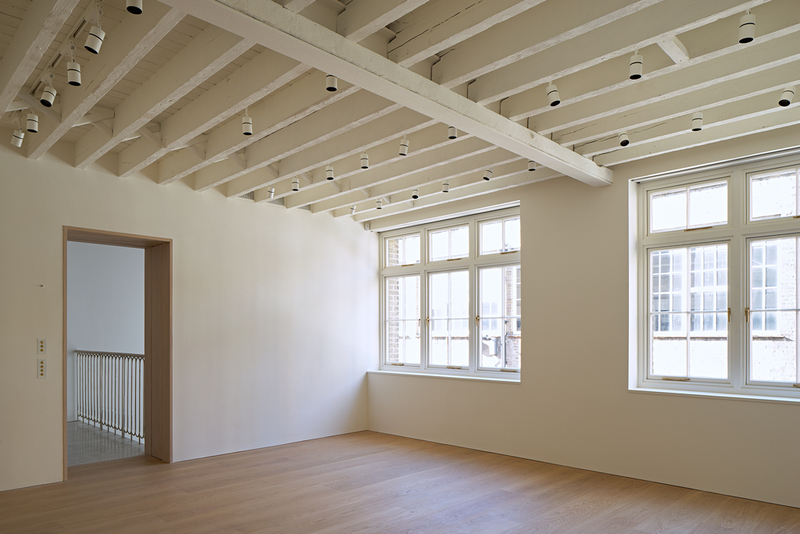 Both areas make for practical use of art hoists at ground and first floor level. 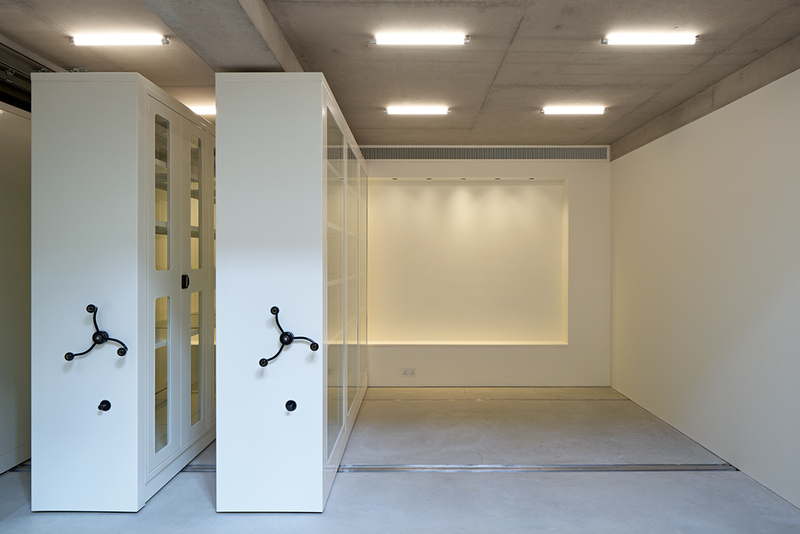 The art store at basement level is in exposed concrete, with the ceiling, soffit and beams cast to drawing. 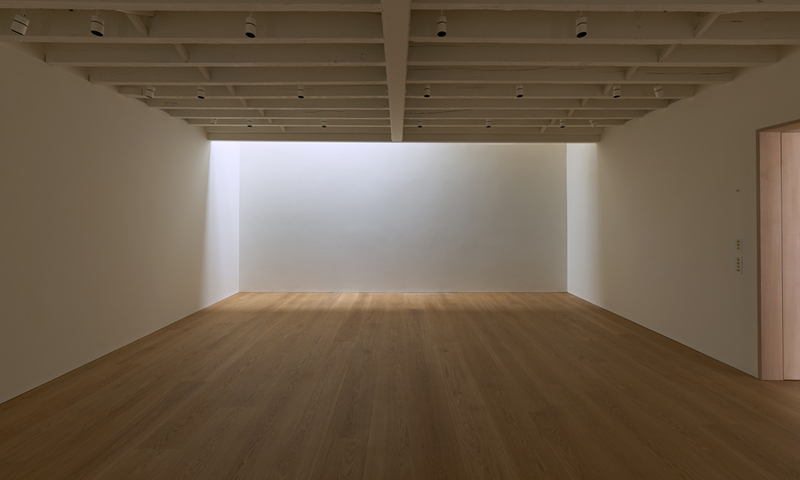 The floors are polished concrete. 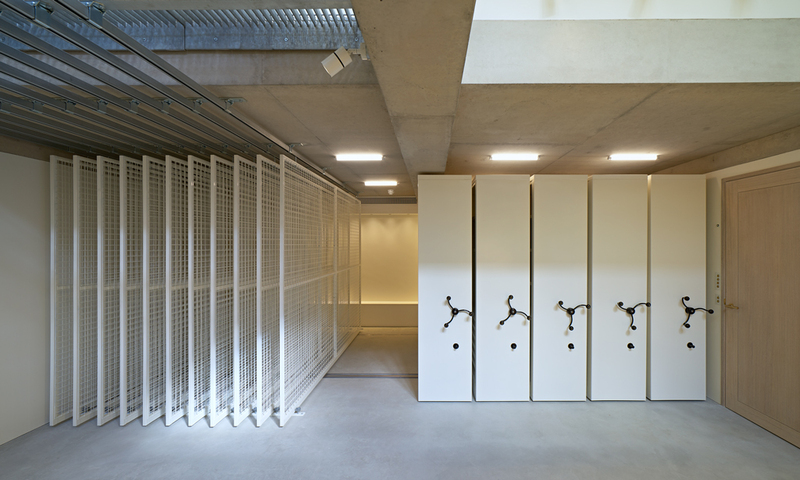 All archive storage units and racks are moveable on tracks and rails. 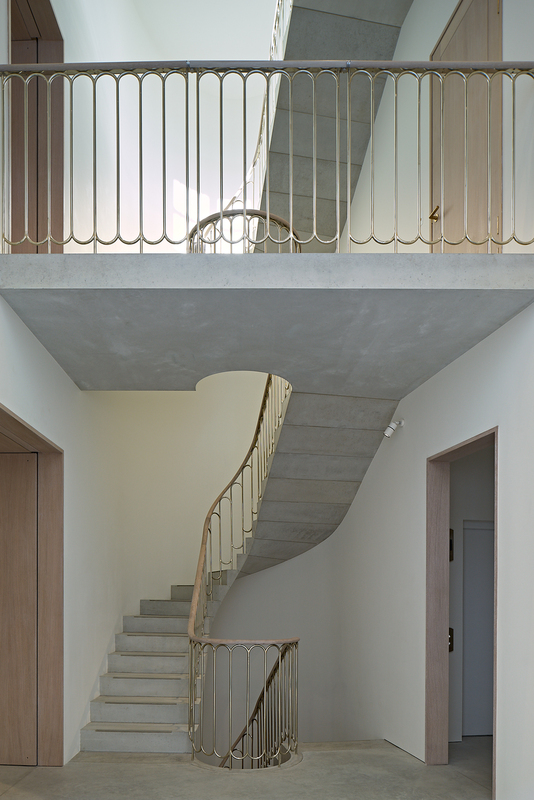 The design introduces a new cantilever-hung stair in pre-cast concrete over four floors. 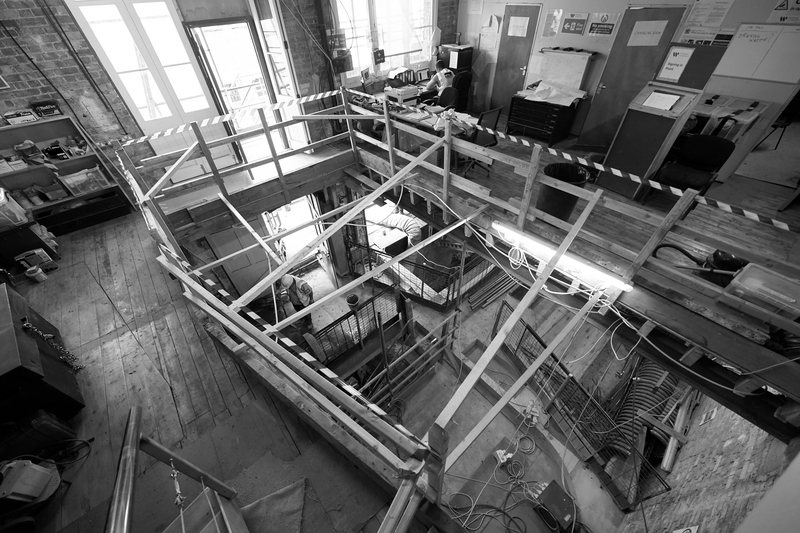 With a cadence both perpendicular and tangential, the treads and risers to each landing are each individual, with each landing averaging 2.4 tonnes and crane-hoisted into position. 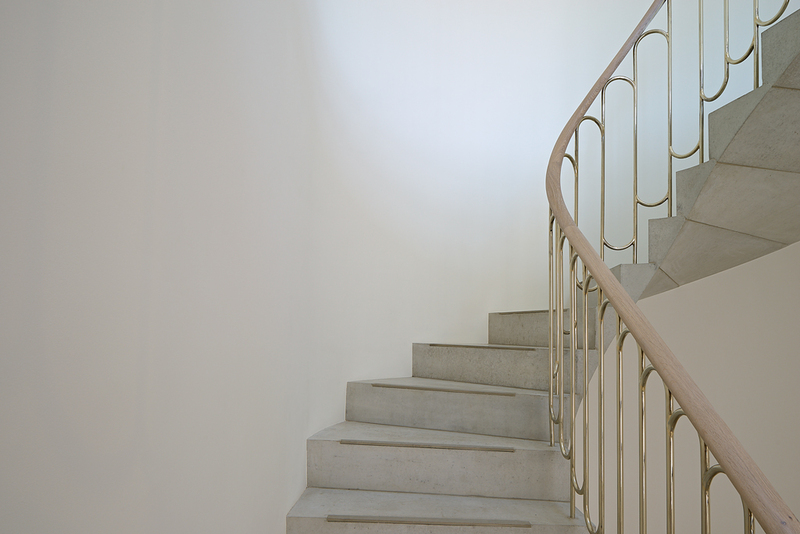 The elegant balustrades are in nickel silver with oak handrail, and were fitted in sections following 3D survey. 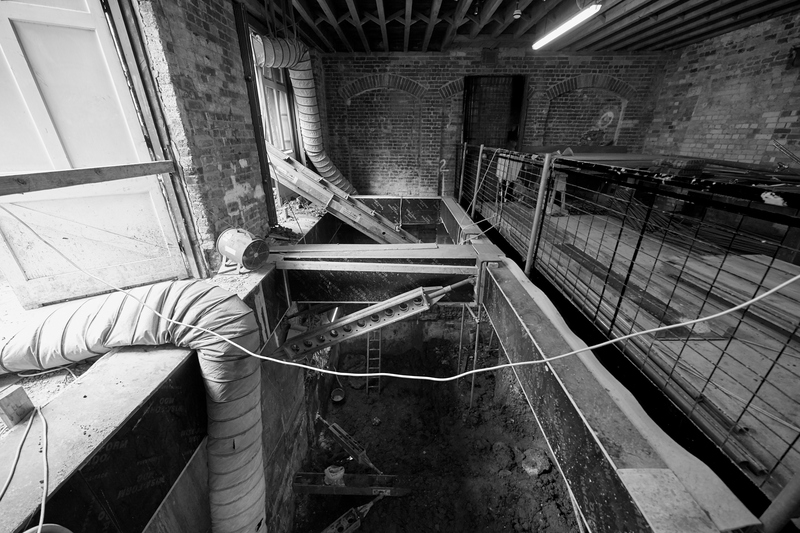 The lower basement stairs (which lead to the plant room and climate control units) were cast on site, along with basement slab. 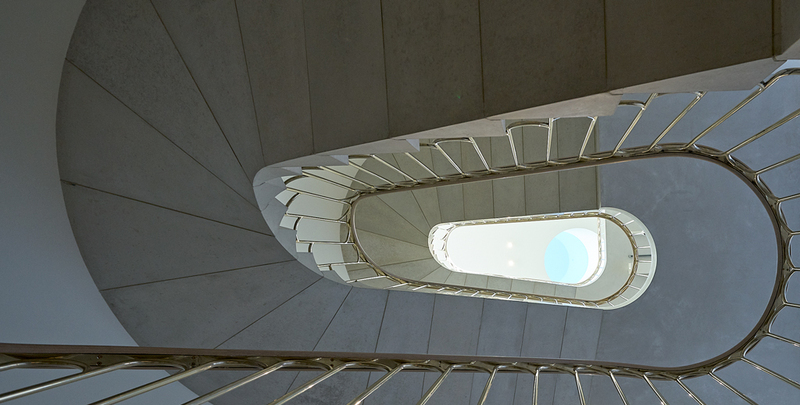 In addition to the stairs, a 2,000kg lift over four floors provides additional accessibility. 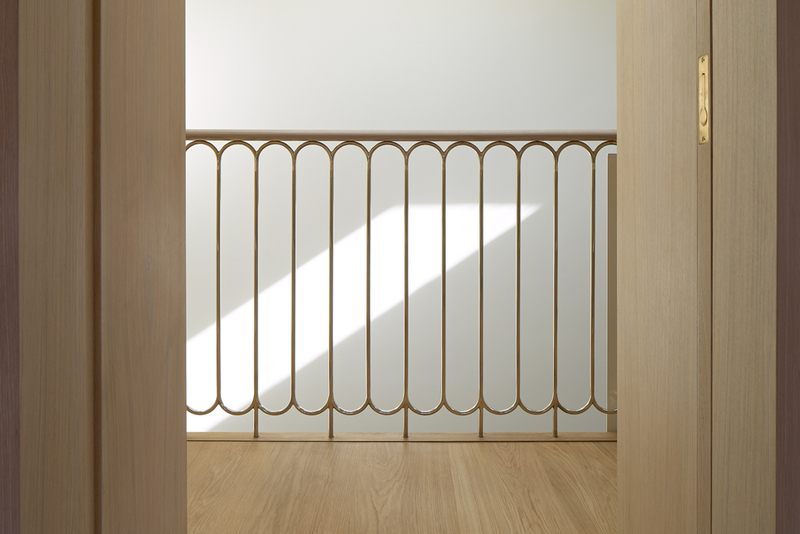 The lift is oak-lined with mosaic tiled floor with an artist inlay. 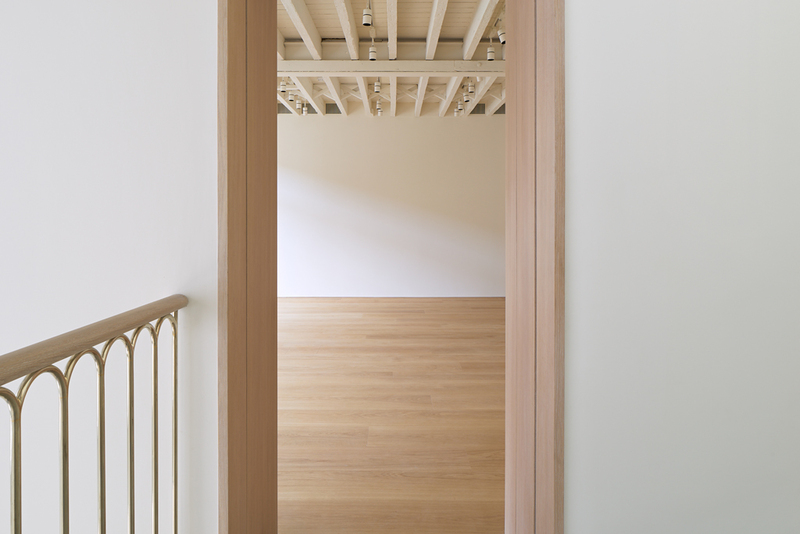 In the main galleries, the existing timber joists with timber herringbone struts were retained, repaired and painted. 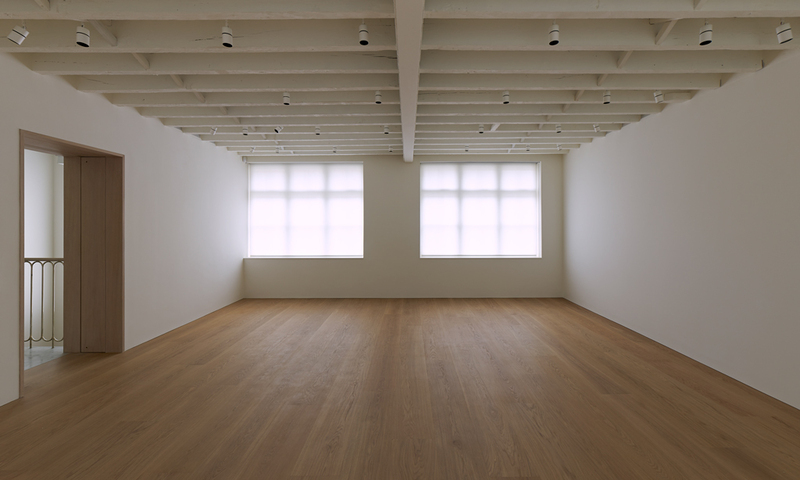 Above which insulation and levelled floating floors in engineered oak with oil finish were laid, with services run between existing and new. 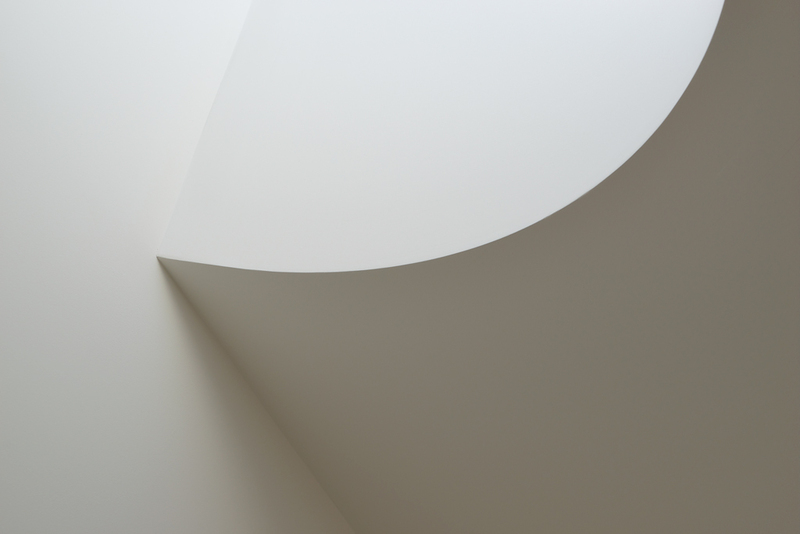 Every wall has been constructed in a manner as to receive art. 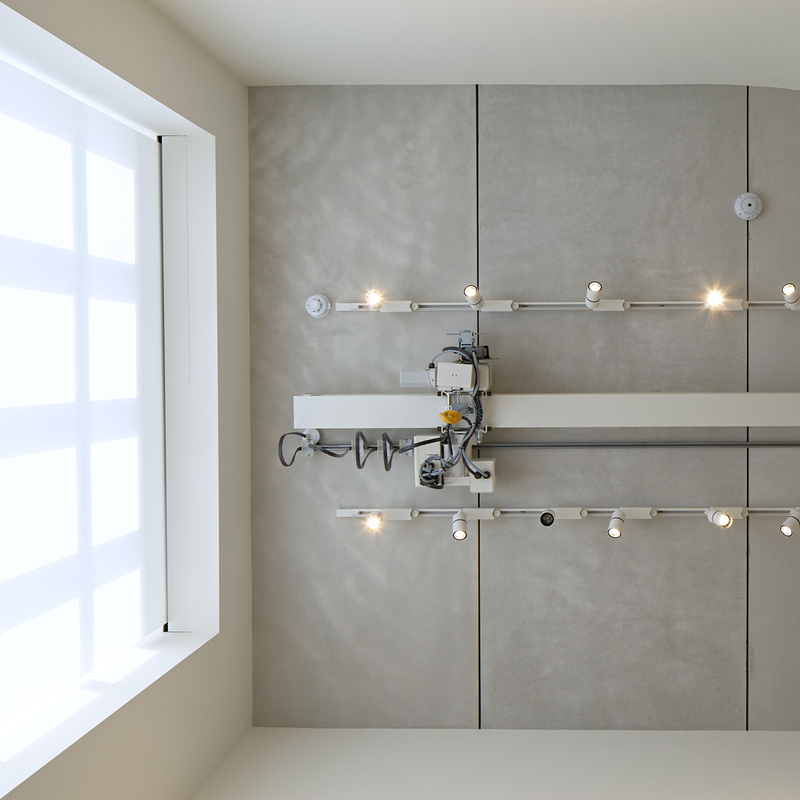 Hoffmeister dimmable lighting tracks are installed on all floors, with the addition of motorised blackout blinds, screens and rooflights. 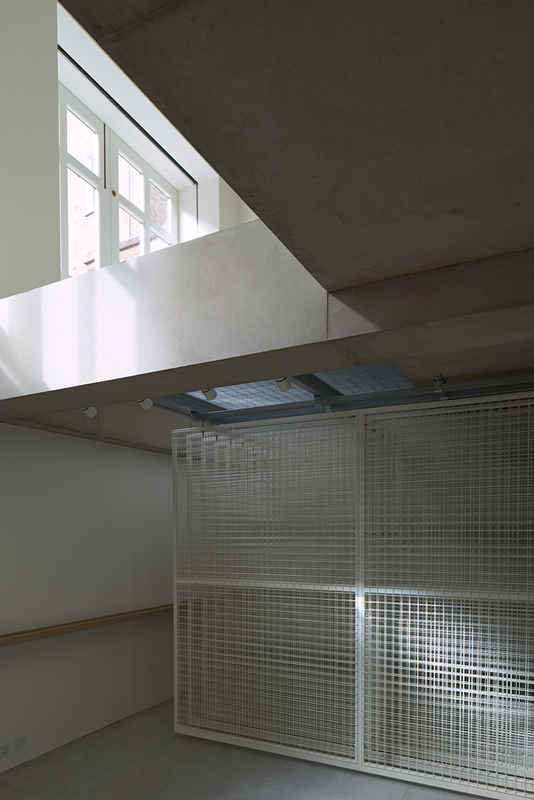 Designed by RIBA Stirling Prize 2017 shortlisted practice 6a architects, the project features in El Croquis Ed. 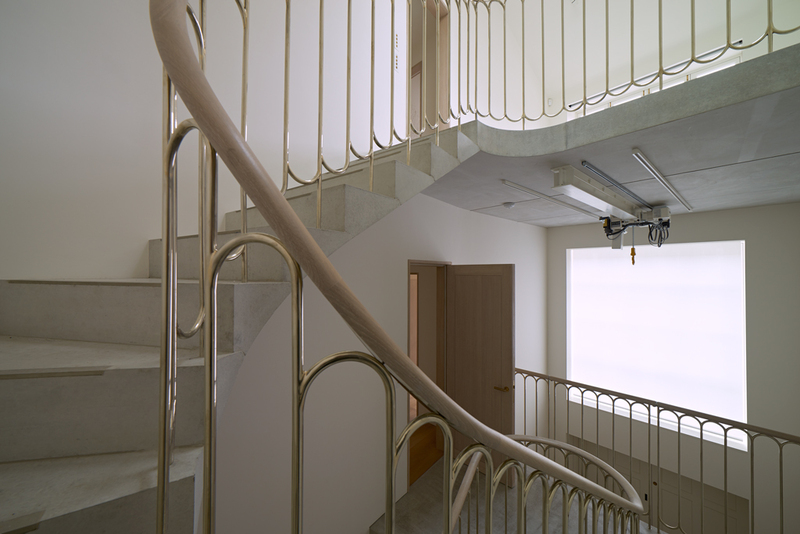 192 (December 2017), which showcases the architects’ work from 2009 – 2017.